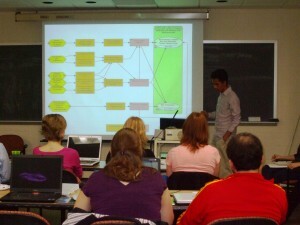 Since its launch in Spring 2007, the graduate course in Adaptive Management for Conservation Projects course has been repeated annually at the University of Maryland and has been reproduced in other academic institutions including the University of California Davis, University of Florida, Virginia Tech, Organization for Tropical Studies, and Eberswalde University. To help meet the growing demand from these and other institutions for information and materials on teaching adaptive management in an academic context, Foundations of Success has established an online network for involved or interested faculty, staff, and students. This Teaching Adaptive Management Network serves the conservation community in academia by providing an open clearinghouse and forum for sharing the tools, lessons, and contacts for incorporating adaptive management training into a graduate conservation program. Hopefully this network will help lead the academic community one step closer to making sound training in adaptive management an essential part of graduate conservation practitioner training!